This server has received 2229288 hits from both ipv4 and ipv6. A client wanted a decoupled, REST API-powered website with a React frontend and a WordPress backend. This case study by development agency Humanmade.com is great read. 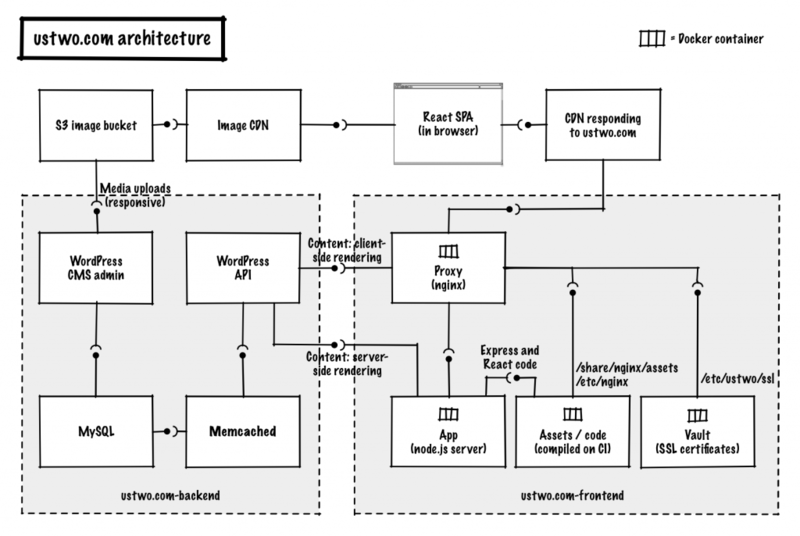 In a traditional WordPress project, WordPress powers both the front-end (what the world sees) and the back-end (where the content is entered). However WordPress has fantastic tools built in so that this is not the only way it can be deployed. In this example, WordPress is used solely as a data collection and delivery method. The wider team, such as the designer, front-end developer, CSS developer, and Node.js developer, were able to focus on their component parts.